Customer Satisfaction is our #1 priority. With over 20 years of appliance repair experience. 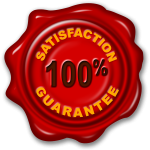 We guarantee our customers with excellent appliance repair, care, and handling. Our repair technicians are courteous, and professionally trained. Feel free to call our customer service number, and schedule an appliance repair appointment today! We repair ALL major Appliance, our service area covers Manhattan, Bronx, Brooklyn, Queens, Staten Island. And Manhattan and it’s surrounding areas. We cover the Upper West Side, Upper East Side, Lincoln Square, Midtown, York ville, Clinton, Midtown Center, Roosevelt Island, Sutton Place, Theater District, Times Square, Midtown East, East Harlem Morning-side Heights, Garment District, Hells Kitchen Murray Hill, China Town, Tudor City. Our technicians are prompt and trustworthy. We offer in home services. And no extra charge for travels. We Repair all major appliances: Refrigerators, Freezers, Dishwashers, Oven, Stoves, Ranges, Washers, Dryers, ect. We offer SAME DAY repair services, and No extra charge for weekends. We provide you with a FREE price estimate. Certified, trained and experienced technicians. We provide solutions for your appliance malfunction. Give us a call, our experienced technicians know how to handle all appliance brands and models.Whirlpool, Sub Zero, GE, Fisher & Paykel, Miele, Kenmore, Frigidaire, Bosch, Dacor, Amana, Westinghouse, Roper Caloric, Jenn-air, Magic Chef, Speed Queen , Monogram, Thermador, Viking, Hotpoint, Tappan, Haier, Admiral and many more. Same Day Appliance Repair in Manhattan, NY metro. We offer wide range of repairs including: refrigerator repair, oven repair, washer repair, dryer repair, dishwasher repair, oven repair, stove repair, washing machine repair and all major appliance repair. 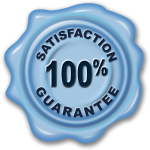 At All Manhattan Appliance Repair we have experience and expertise. We provide professional service in the appliance repair and air conditioning service industries. You’ll receive personalized customer service in a timely, efficient manner, and enjoy top-quality appliance repair. and all other major appliances! We Repair Appliances and Air Conditioners of ALL BRANDS: Whirlpool, Kenmore, KitchenAid, Roper, Jenn Air, Maytag, Amana, GE, Hotpoint, Frigidaire, Electrolux, LG, Subzero and more. At Manhattan Appliance Repair we Have Experience and Expertise ! Continuing to build on our reputation of quality repair, advice, and honest service. We look forward to earning your business. We provide in-home service on a flexible schedule that meets your time restraints. When you need appliance repair service in Manhattan and the surrounding areas, we are available for your call 24 hours a day, 7 days a week. We are a fast, dependable Appliance Repair Manhattan Service Company and we have over 20 Years of experience. We Make it Convenient for You. Here at All Manhattan Appliance Repair we work on a flexible schedule that meets your time restraints, not ours. We’ll come to your home or business to service the appliance. I can always trust you guys when it comes to fixing my appliances. You are prompt and very reliable. You never give up until you get the job completed. Thank you for always repairing my appliances at a reasonable price. That you for scheduling a convenient appointment time for my Sub-Zero refrigerator repair. Other companies don't have flexible time slots like yours. By the way my fridge is working great ever since your technician stopped by.